The 2017 Atomic Vantage 90 CTi, with its 90-mm waist is the second widest model in the Vantage line of midfat all-mountain freeriders. It returns to the line unchanged. Like the top-of-the-line 100 CTi, the 90 CTi is metal-reinforced for high-speed, expert-level performance, but its narrower waist makes it a shade quicker and edgier, more appropriate for Eastern conditions. The Vantage series of all-mountain skis returns with four models for 2017 (down from five; the 85 CTi has been dropped). Waist widths on the men&apos;s models range from 100 down to 85 mm, and all Vantages have slight-twin tails and are rockered in both the tip and tail for a smeary, creative freeride style of performance in soft snow. (For something wider and more powder-specific, check out Atomic&apos;s Backland series, with waists up to 120; for something narrower and more groomer-oriented, see the new Vantage X line, with its knifey 75-83 mm waists and flat tails.) Not as loose and drifty as the Backland skis or as tight and carvy as the Vantage X models, the Vantages are built to meet the day-to-day needs of all-mountain resort skiers with appropriate mixes of soft-snow and hardpack performance. All are sold flat (no binding; the narrower Vantage X&apos;s all come with bindings). With an overall philosophy of building light yet powerful skis, Atomic uses durable, responsive wood cores which are reinforced with a layer of Atomic&apos;s Carbon Tank Mesh, a wall-to-wall grid of carbon fibers that adds strength while reducing weight. Extra-thick Firewall sidewalls add mass over the edge, dampening vibrations and transmitting more skier energy for smooth powerful edge grip and tracking. All Vantage skis feature Atomic&apos;s All-Mountain Rocker, which combines loose, floaty rocker in the tip and tail with edgier camber underfoot (about 75 percent of the ski&apos;s length). The top two models (100 CTi and 90CTi) are reinforced with metal; not full sheets, but Atomic&apos;s Backbone technology, in which a tapered sheet atop the core adds some of the dampness and high-speed calm that metal offers without adding too much weight. The two low-end models are similar constructions but with lighter, more forgiving (and more economical) metal-free layups. Atomic, founded in 1955, is based in Altenmarkt im Pongau, Austria (near Salzburg), where the majority of its skis are made. 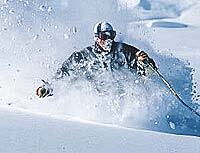 Along with sister brands Salomon and ArcTeryx, it is a division of Amer Sports of Finland, which acquired it in 1994. Its U.S. headquarters are in Ogden, Utah. -J.C.
Notes: The 2017 Atomic Vantage 90 CTi, with its 90-mm waist is the second widest model in the Vantage line of midfat all-mountain freeriders. It returns to the line unchanged. Like the top-of-the-line 100 CTi, the 90 CTi is metal-reinforced for high-speed, expert-level performance, but its narrower waist makes it a shade quicker and edgier, more appropriate for Eastern conditions.